Luxury Yacht Charters in Zanzibar, Tanzania. 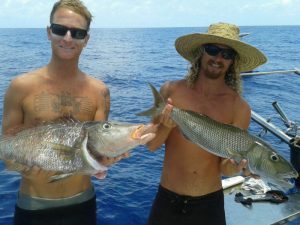 Here in Zanzibar Big Game Fishing and Deep Sea Fishing opportunities in these warm Indian Ocean waters are plentiful! 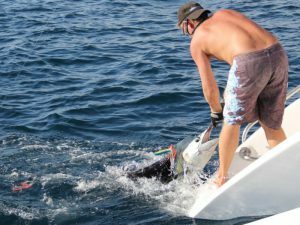 Read on to see what opportunities we offer to really test yourself with a battle against some of Zanzibar’s most prolific Pelagic Species of Fish! 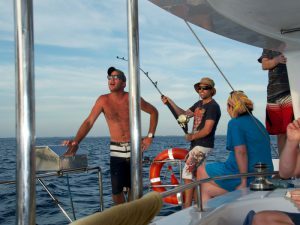 Join us onboard one of our beautiful yachts for a Day Trip Big Game Fishing on these warm turquoise waters of Zanzibar. Alternatively book one of our Live Aboard fishing charters to Latham Island, Mafia Island, Pemba Island and the famous Pemba channel! In fact, our deep sea fishing charter boats and yachts are fully rigged and ready to take you out for a fishing experience you will never forget! See more smaller sport fishing boats we have available for charter here at Fishing Zanzibar Co Ltd.
We are located in Nungwi, a fishing village on the north-western tip of Zanzibar Island. See map here. Consequently from here the fishing grounds of Zanzibar, Pemba and the famous Pemba Channel are not even a stone’s throw away. Our well equipped and catered for sports fishing boats, yachts and resourceful crews will ensure your absolute enjoyment out on the water. 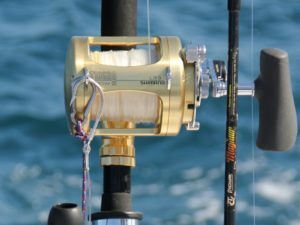 All our Yachts are equipped with trolling gear by Shimano and Penn International. Line class’s range from 25 lb – 80 lb depending on the season and species of fish you intend to target. Billfish such as Striped, Black and Blue Marlin, the acrobatic and dazzling Sailfish and elusive Shortbill Spearfish abound in these crystal waters! Now lets not forget the Broadbill Swordfish! The “Gladiator of the Seas”! This fish will test the stamina of any angler to the limit! 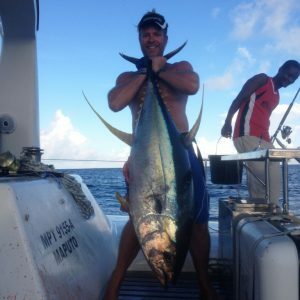 Yellowfin tuna, Dorado, Wahoo, Barracuda, Kingfish (Trevally), King & Queen Mackerel and the lesser game fish such as Bonito tuna, Skipjack tuna and Rainbow Runner provide endless hours of adrenalin filled Game Fishing action out on the water! We are members of the International Game Fishing Association. Therefore we actively encourage our “Catch and Release” policy for all Billfish, Sharks and Trevally species. 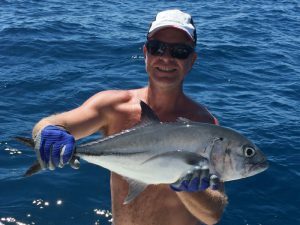 Unless of course they are likely to be East Africa, All Africa, World Record fish, or if our skipper believes that the fish is unlikely to survive release. 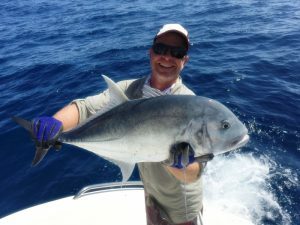 Be that as it may, should you wish to take a Tuna, a Dorado or any other lesser Game Fish Species back to your hotel for your chef to prepare for you, you are more than welcome! Leven Bank is just 5 miles north of Nungwi. The drop-offs and deep blue water east of the Mnemba Island Atoll is about 12 miles east. Given these points and with the Zanzibar Channel just off to the west, our well equipped fishing boats and professional crews will have you in the mix in no time! Our boats and yachts are also available for half day or full day charters. Night fishing trips for Broadbill Swordfish can also be arranged and will certainly test your skills as an angler. 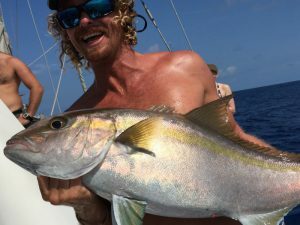 See our Live Aboard page for extended fishing charter options! Day or night, we are ready and waiting to take you out for a Zanzibar Big Game Fishing experience you will never forget! Do you need Hotel Transfers from your Hotel to our base in Nungwi? 24 Hour Overnight Yacht Cruise!